This post was sponsored by iHerb. All opinions are that of Daily Mom. Before your baby makes their way into the world, you want to ensure that they are healthy and strong. All throughout pregnancy we take our prenatal vitamins, making sure that our baby is getting the vitamins and minerals they need to grow and develop. 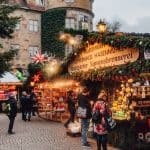 And it should be the same for our children even when they have entered the outside world, only this time we need to be giving them the proper vitamins, minerals, and nutrients. Breastfed infants often need additional supplements that even the healthiest of breastmilk can’t supply. 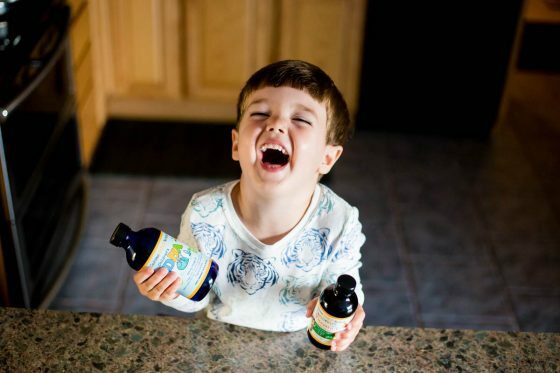 As your child grows older, it’s always a good idea to give them a safe, all-encompassing multivitamin that provides the nutrients that can sometimes be lacking- especially with a picky toddler’s eating habits. But how do you know which vitamins are the best for your little one? 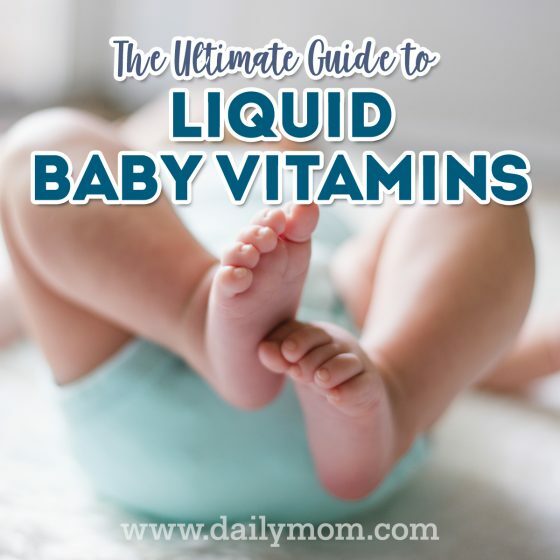 This ultimate guide to liquid baby vitamins (and beyond) will help you determine what you need to be looking for when choosing your child’s multivitamin. There are several recommendations given by the American Academy of Pediatrics on what vitamin supplements are needed to give to your child. 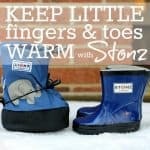 These don’t differ too much for infants, even with the difference of breastfeeding or formula feeding. Formula often contains these essential vitamins but they are still recommended by the AAP to give as supplements as a child begins to eat solid food, as many times those vitamins and minerals are lacking from even a healthy diet in today’s society. Vitamin D3 is one of the most common vitamins recommended by pediatricians to give to infants, especially breastfeeding ones. This is often because infants are not exposed to the necessary amount of sunlight needed for essential Vitamin D. A lack of Vitamin D can cause rickets, which is a softening and weakening of the bones. Vitamin D3 drops like the ones from Vitamin D3 drops from California Gold Nutrition help to effectively absorb calcium and phosphorus, which in turn allows bones to grow healthy and strong. They are also free of GMOs, gluten, soy, and alcohol and made with fractionated coconut oil instead of added preservatives and additives like many other brands. All these things give you peace of mind that the Vitamin D3 drops from California Gold Nutrition are safe and healthy for your little one. 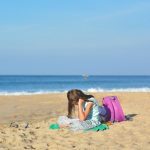 Although infants do receive some Vitamin D through a mother’s breastmilk and in formula, it is often not enough and sun exposure is dangerous for little ones. Babies are often kept out of the sun in the early months since their skin is so sensitive to its rays. 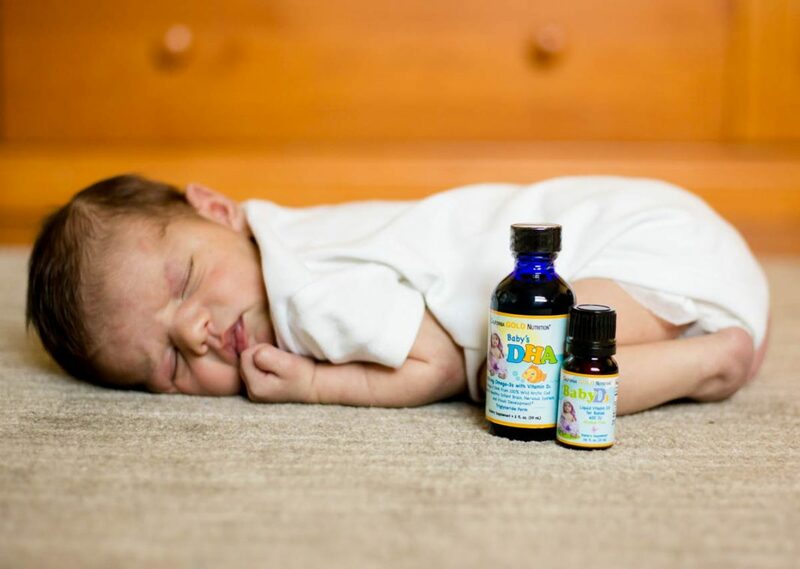 Overexposure can be detrimental to a baby’s health, so Vitamin D3 drops are a great way to ensure that a baby receives the necessary supplement without harming them. Vitamin C is an essential nutrient for children and adults. Vitamin C helps repair red bones and tissue, and helps to keep your child’s gums healthy. It also is an immunity booster as it helps to repair red blood cells when they are damaged by illness. 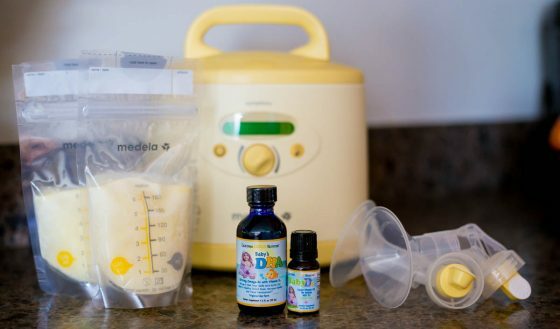 Most breastfed babies don’t need Vitamin C supplements unless the mother is deficient in Vitamin C. Formula fed babies often get the necessary amounts from their formula. 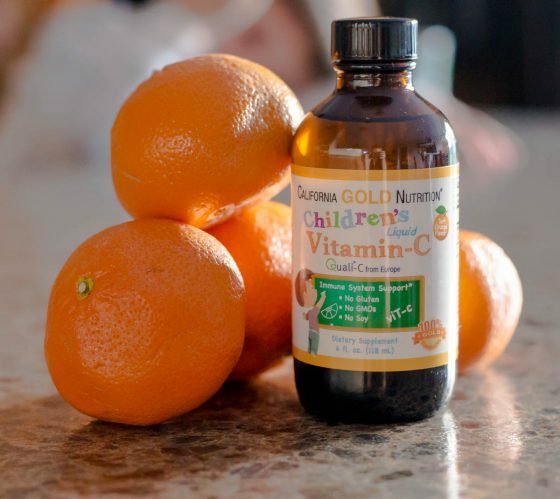 California Gold Nutrition Vitamin C drops are a supplement that can be used when your child is deficient in Vitamin C, which can happen if a breastfeeding mother is deficient in Vitamin C herself. A child can also become deficient as they grow older if their diet does not contain the proper amount of Vitamin C needed for their bodies. The liquid drops from California Gold Nutrition are made with no GMOs, no gluten, and no soy. The orange flavor makes it easy to go down, too, which is crucial for parents when trying to give vitamins to a squirmy baby. They are recommended for children 6 months and older, which is right around when your baby starts to more eat solid food and less breastmilk or formula, thereby possibly needing added Vitamin C to their diet. DHA is brain food. This fatty acid was supplied to your baby extensively throughout the third trimester of pregnancy. It is necessary for healthy eye and brain development to continue with DHA absorption, especially as a baby gets older and their diet turns from exclusive breastmilk or formula to other solid foods. DHA can be found naturally in certain foods like fish, but it is not recommended for breastfeeding mothers to eat large amounts of fish in their diet due to concerns with mercury and heavy metals. 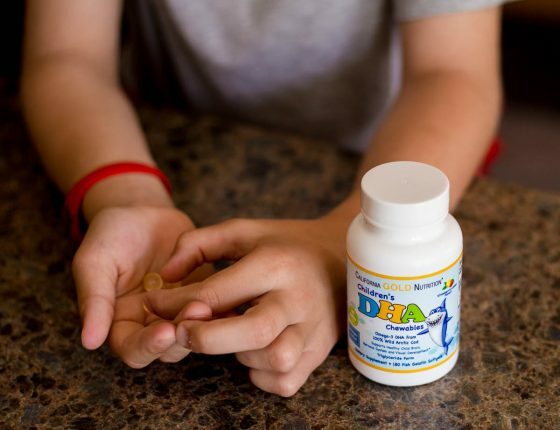 A study conducted by the University of Kansas showed that increased levels of DHA in a baby resulted in increased attention span in children by the time they were two years old. It also showed babies being developmentally 2 months ahead of their counterparts with lower DHA levels at 6 months old. As children grow older in their diets, especially if they aren’t keen on fish, there is often a decrease in DHA. 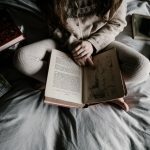 Adding a supplement like the ones provided by California Gold Nutrition can ensure that your child continues to get the brain food they need. If you are already giving your child a vitamin D supplement, California Gold Nutrition also offers a Vitamin D3 and DHA combination supplement so your child can get everything they need in one fell swoop. If your child is formula fed and does not need added Vitamin D3, you can opt for the simple DHA liquid vitamin supplement. 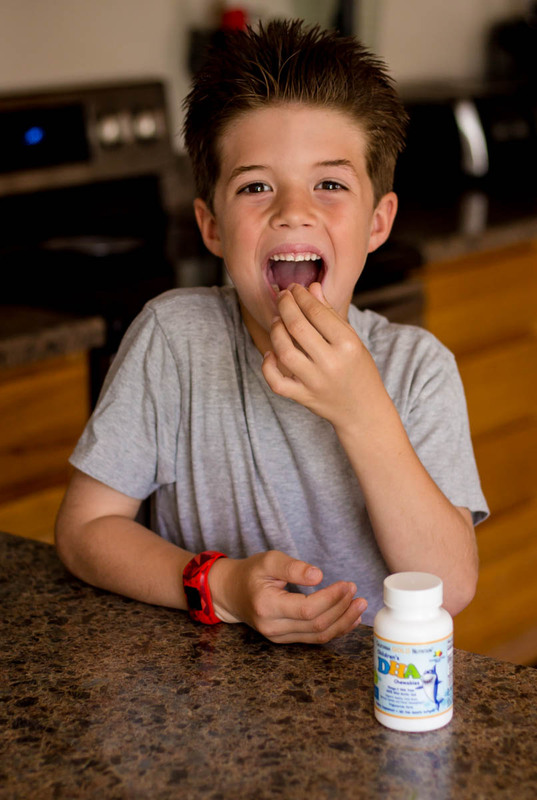 Once your child gets older and is ready to take “big kid” vitamins, California Gold Nutrition offers chewable DHA vitamins. With a yummy strawberry-lemon flavor, these vitamins don’t give that weird fish-oil after taste like many other DHA supplements even though it is made from 100% Wild Arctic Cod fish oil. 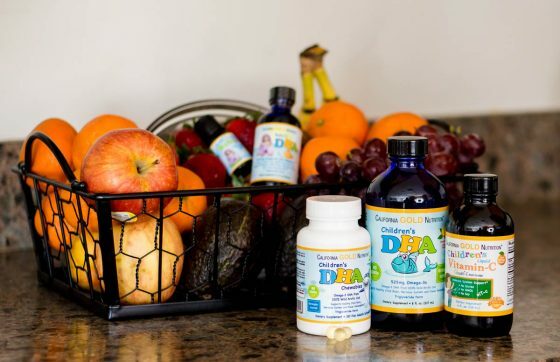 As with all California Gold Nutrition vitamins and supplements, these all their DHA supplements are GMO-free, gluten-free, and soy-free. 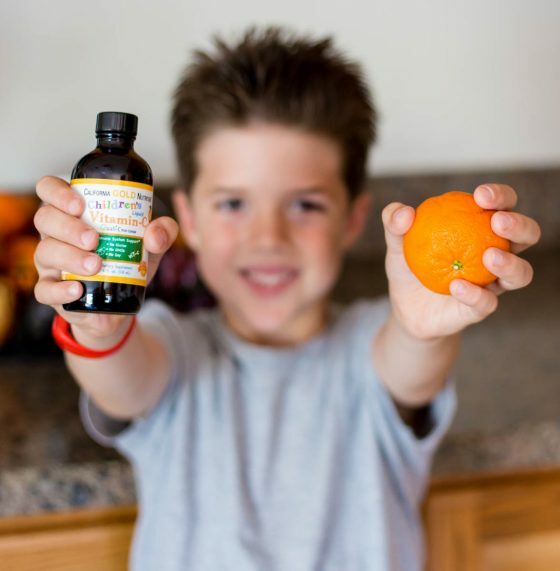 Looking for vitamins that are perfect for your family? New customers can visit iHerb by clicking here to get an additional discount. 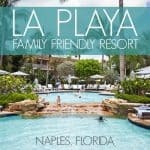 And, as a Daily Mom reader, you can also use the promo code WELCOME5 to you shopping cart to get an additional $5 off of your order of $40 or more. Choosing the right vitamins for your baby is crucial to their development. 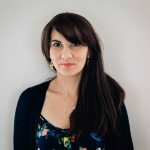 You want to be sure you are making the healthiest choice for them, just as you did when choosing your own prenatal vitamins while they were growing in your womb. California Gold Nutrition Baby Vitamins offer a range of vitamins from infants to big kids. 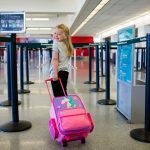 This way you know your littles are getting what they need when it comes to the things that they might not be getting in their regular diets.